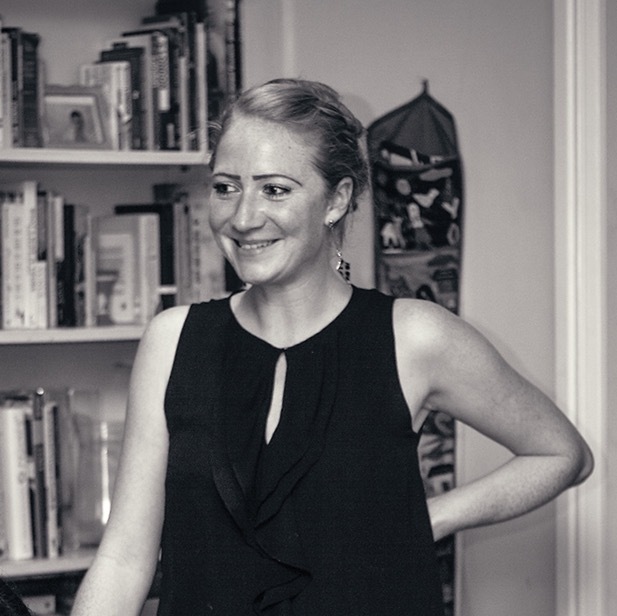 Restaurant reviews are like buses for me (kind of, bear with me....!) They all seem to come at once. Autumn last year through to late winter seemed to be an influx of invites to review Japanese, or Japanese inspired restaurants, culminating in a food and sake trip to Japan in January. In November last year I went to Tuscany for all things olive oil, and the last couple of months have been filled with invites to Italian restaurants in London. It just so happens that I love both Japanese and Italian food (in fact, I love pretty much all food) so I'm certainly not complaining, I just think it's odd that they all come at once! 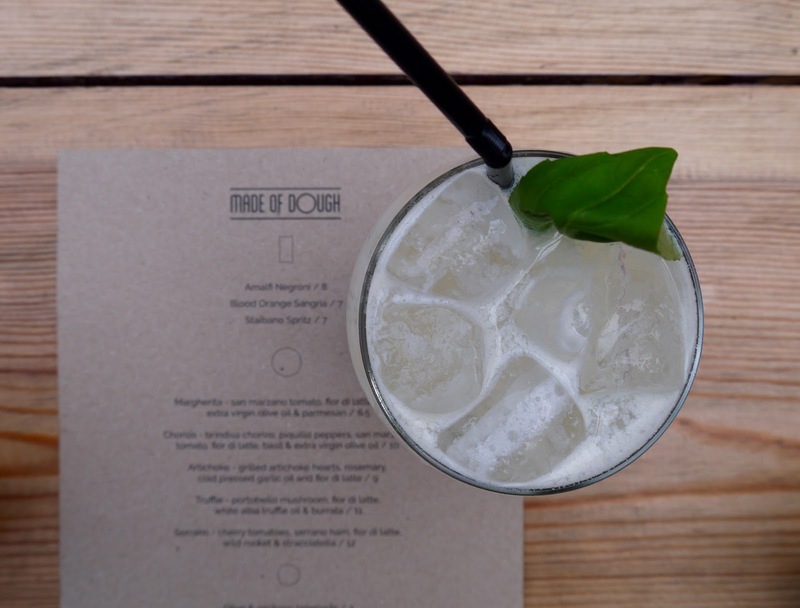 So a couple of Sundays ago I took Polly with me to bask in Spring sunshine at Made of Dough in Goldhawk Road, the pizza pop up that's happening on the We Feast site, next to the railway line. 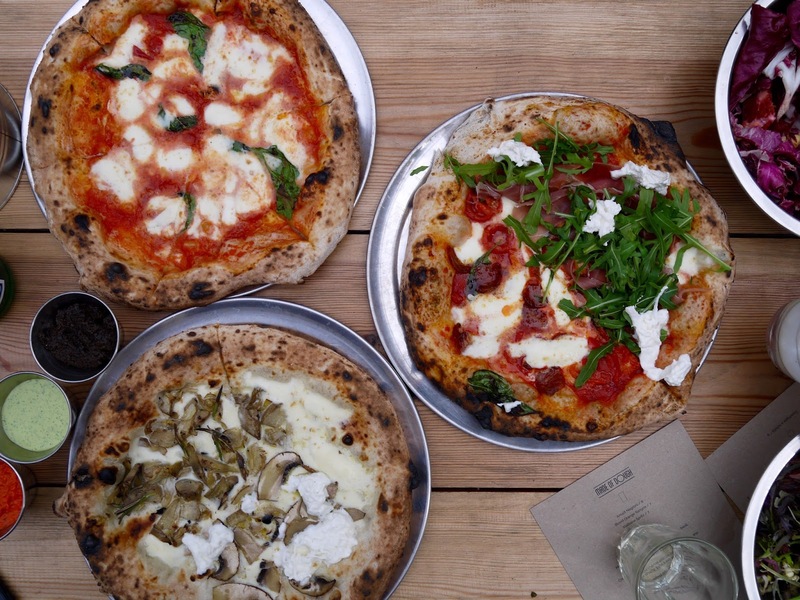 As 2015 London Pizza Festival champions I had high hopes for Made of Dough, who'll be moving a permanent site in south London once their residency at Market Yard is up on 15th May. I sipped on/glugged down a cocktail of ginger beer and limoncello while I waited for Polly, and perused their menu trying to work out how we were going to whittle our choice down to two out of the five options. I needn't have bothered - Polly arrived declaring she was as hungry as I was, so our very kind waiter suggested/was coerced into letting us have half a pizza with each of the four toppings and a whole Margherita. Three pizzas between two is what I call a challenge, and one we dutifully accepted. Of course we needed a bit of greenery, so basically ended up ordering the entire menu. The Margherita was spot on, made with san marzano tomato, fior di latte, basil, extra virgin olive oil and parmesan - none of which there was too much or too little of. The other two pizzas were divided in to halves. One was half Chorizo (brindisa chorizo, piquillo peppers, san marzano tomato, fior di latte, basil and extra virgin olive oil) and half Serrano (cherry tomatoes, Serrano ham, fior di latte, wild rocket and stracciatella) - the chorizo being my favourite of those two. 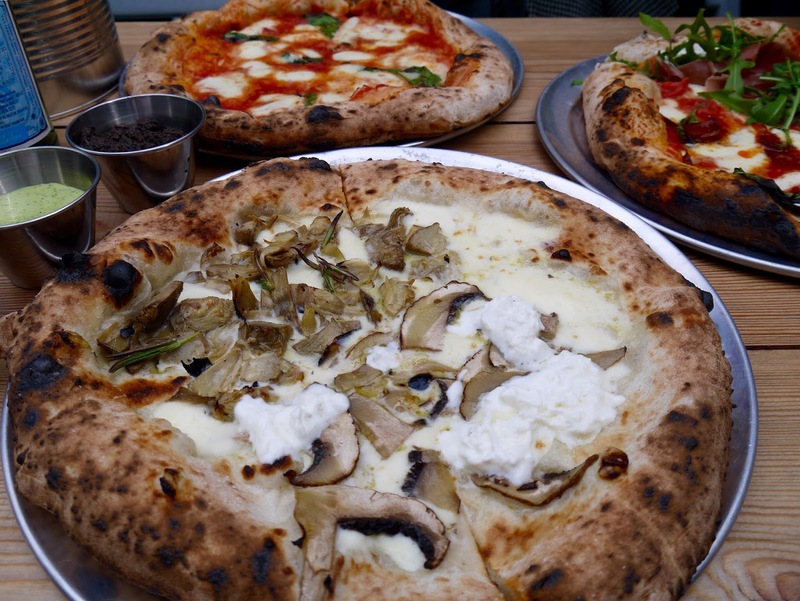 And the white pizza we had was half Artichoke (grilled artichoke hears, rosemary, cold pressed garlic oil and fior di latte), and half Truffle (Portobello mushroom, fior di latte, white alba truffle oil and burrata). I don't think I can actually choose a favourite from those two. What I can do is recommend you go in a group and order one of everything. Definitely the best approach!! Especially when the pizzas range from £6.50 to £11, and are absolutely enough to feed one person each. We shared the wild green salad, which was definitely wild but slightly underdressed, and the radicchio, orange and hazelnut salad which I preferred out of the two. Dips come in the form of spicy romesco (our favourite), olive and anchovy tapenade and basil aioli. There are two of each wine colour to choose from, both of which we sampled and we were delicious. 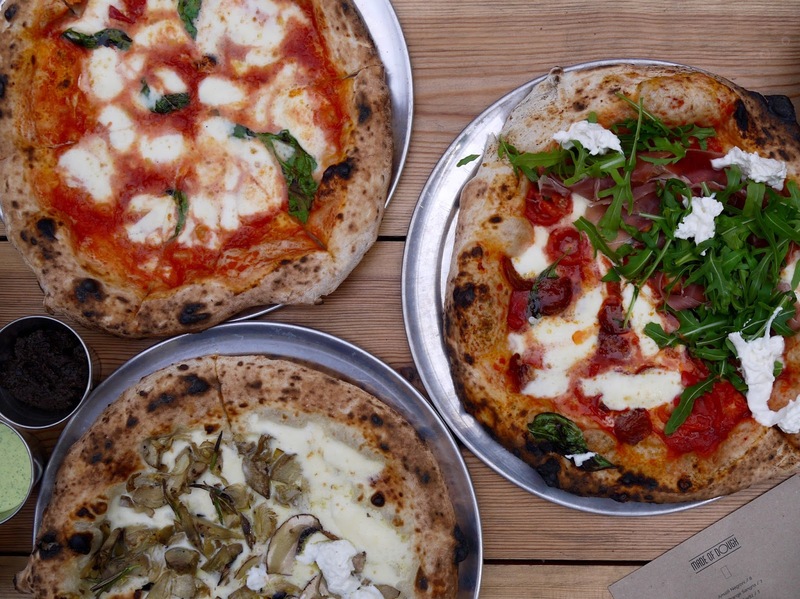 Get down to Market Yard while Made of Dough are still there. We loved it, and everyone who's been that I recommended it to has loved it too! I was surprised how much I liked the white pizza - had bad ones elsewhere but these were perfect. Get yourself down there and get a pizza then!! 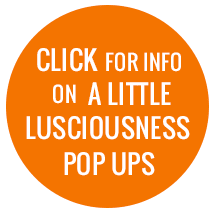 Ooh coming to South London you say?! That's exciting, I'll have to keep an eye out for them, those pizzas look super tasty.